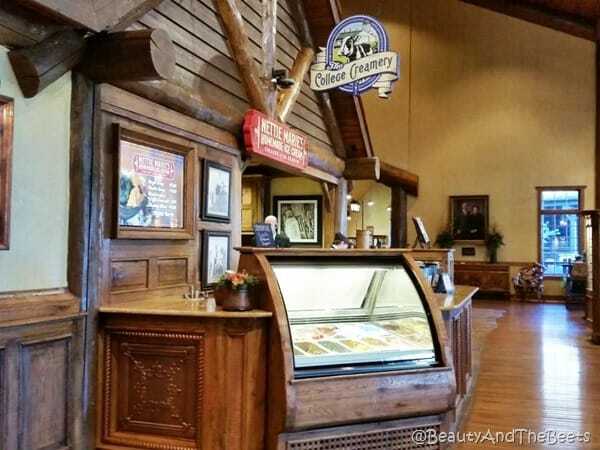 Anyone who has ever spent any time in Branson, Missouri, know that the food is hit or miss. Some places are really good on the foodie’s palate, others are kitchy and gimmicky- just out to get your money. Some places are just not concerned with quality. However, on place, located just 4 miles from the center of Branson, is worth a visit to truly experience culinary education at its best. The restaurant is run by the students who attend the College of the Ozarks. The school is nicknamed “Hard Work U” as the students do not pay tuition and instead work on campus to pay for their classes, room and board. 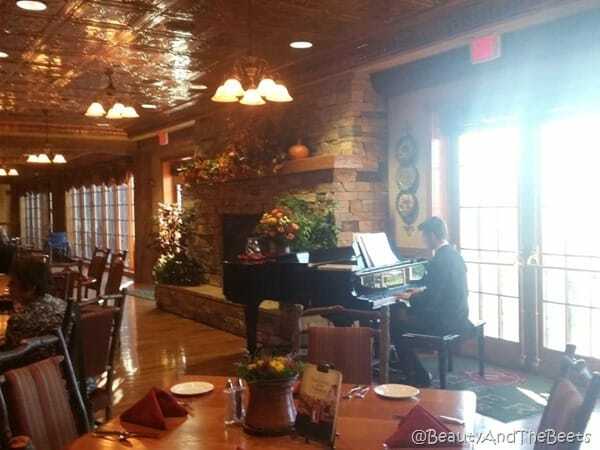 Dobyn’s Dining Room is one of the only fine dining restaurants in the Branson area. 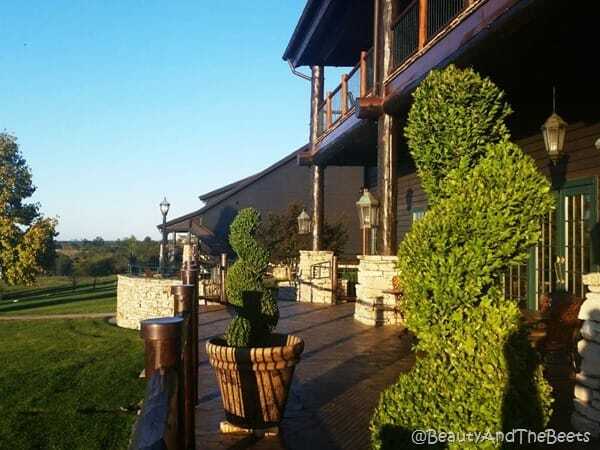 Most of Branson caters to the tourists in town to catch live musical acts, and therefore the city is rather casual in dining options. 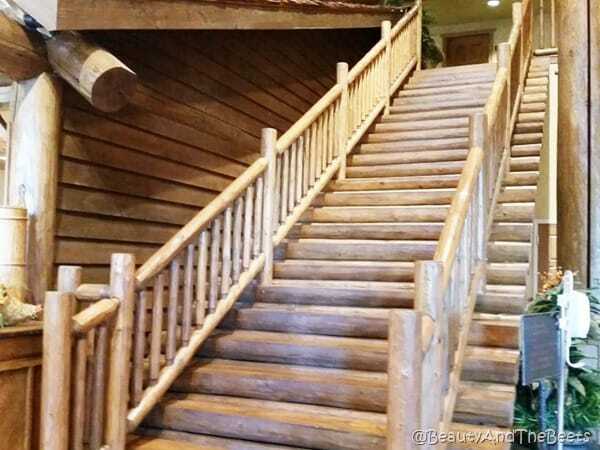 However, pulling up to the giant log cabin that houses the restaurant I knew we were in for quite a treat. 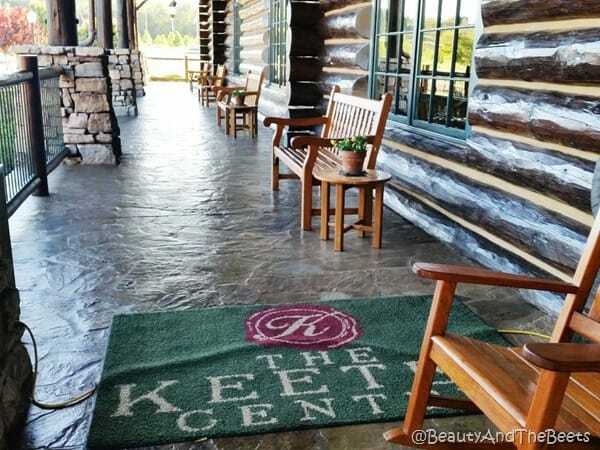 The Keeter Center is the name of the “log cabin” that houses not only Dobyn’s Dining Room, but a bakery and creamery as well on the first floor. The upper floors are home to a small student-run lodge, with 15 elegant guest rooms. 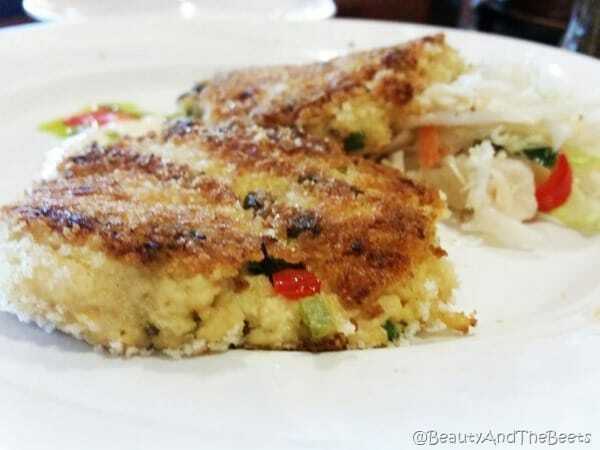 We ordered the Smoked Catfish Cakes as an appetizer. The catfish is hickory smoked, then mixed with onions, bell peppers and garlic, and pan seared. 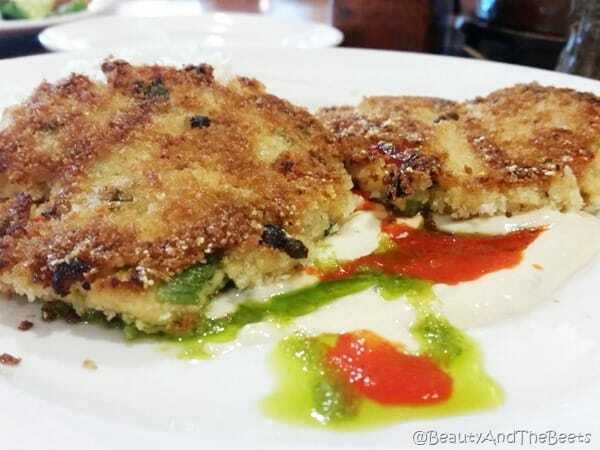 The accompanying smoked tomato tartar sauce is delicious, making the catfish cakes a bit more flavorful. I liked that they were obviously not pan seared in a sea of oil as they were light and crispy. Be very careful not to fill yourself up on the fresh rolls with the most incredible apple butter. 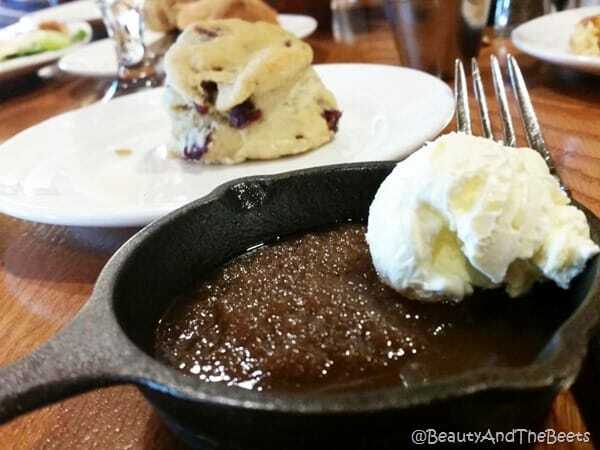 This is not the apple butter you are used to. It is AMAZING and so easy to fill up on. The salads were incredibly fresh and I learned that the veggies are all grown right on campus, on a farm that is just behind the Keeter Center. 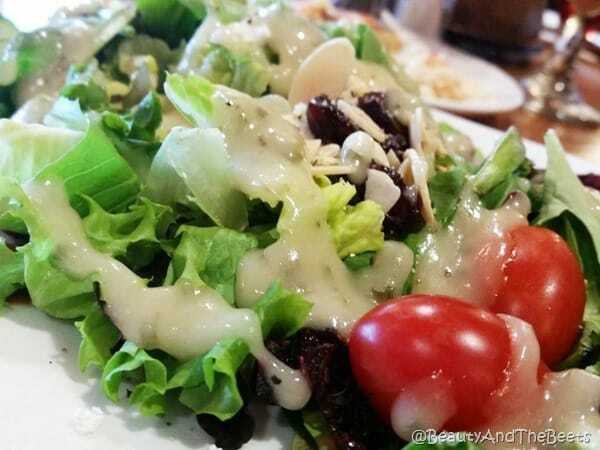 Freshly picked produce can really make a salad noteworthy and memorable. The Pear Honey dressing was so good we ended up purchasing a bottle to take home from the restaurant’s gift shop. Mr. Beet went with the Grilled Salmon plate, with a maple-mustard glaze and served with brown rice and garden veggies. The salmon was meaty and cooked perfectly well. Mr. Beet loved it though I thought the grilled salmon was rather boring. Then again, I come from a part of the country where salmon is an everyday staple. 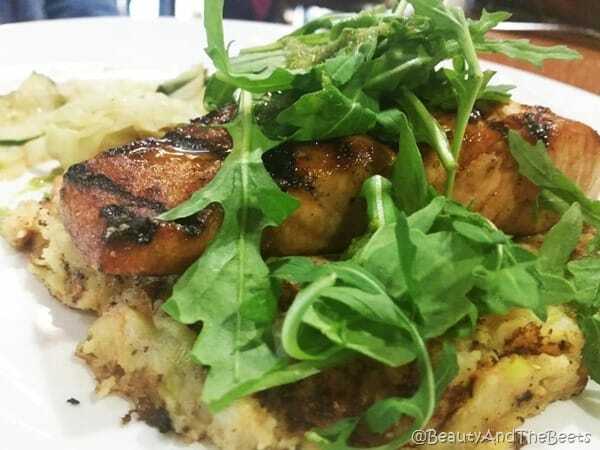 I chose the Cornmeal Trout as my entrée and it was outstanding! The cornmeal is milled right on campus and this dish was served with a black walnut pesto and sweet potato butter. And peas. I loved the peas. 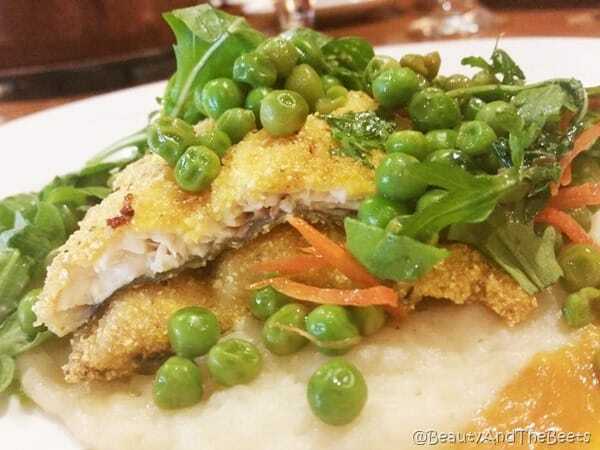 You just never see peas on restaurant menus anymore, especially fancy restaurants. Though we are no longer in Missouri, I am still dreaming of this dish. 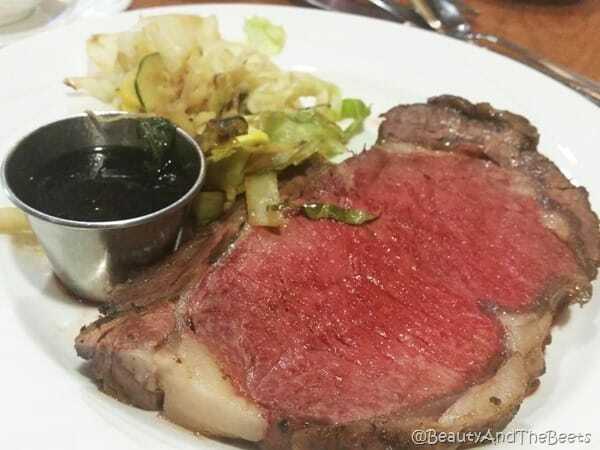 We also had some guests of ours who decided on the Hickory Smoked Prime Rib. Served with au jus and a horseradish cream, this should have been a favorite among the table. However, the steak was severely undercooked when it was requested to be cooked to medium. Even I, who used to love my steak served medium rare agreed that this was far from a medium state. Though we were able to send the steak back, we again were served the same piece of steak. This means that a) they returned a steak that was touched by the guest to the grill (a health violation in some states) or b) the steak was cooked further in a microwave. However it was cooked, it ended up delicious at the medium temperature. 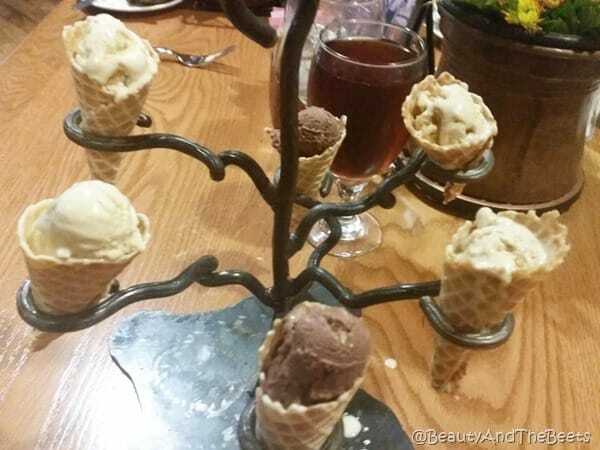 Dessert was the ice cream cone tree, a selection of 6 flavors straight from the College Creamery. 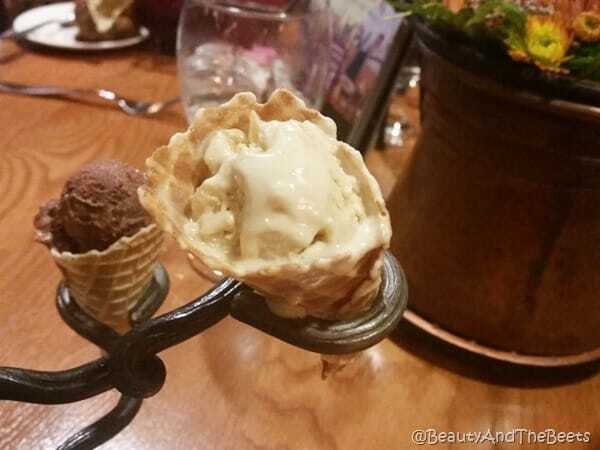 Salted Caramel, Coffee Custard, Vanilla Custard…I could not pick a favorite flavor and lucky for me I didn’t have to. 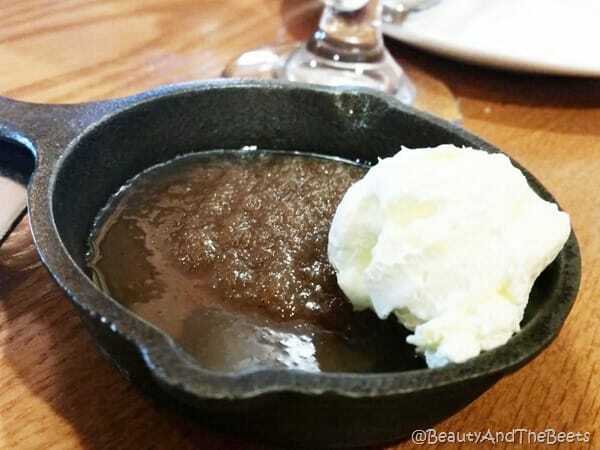 Eat this dessert quick, it melts fast!! 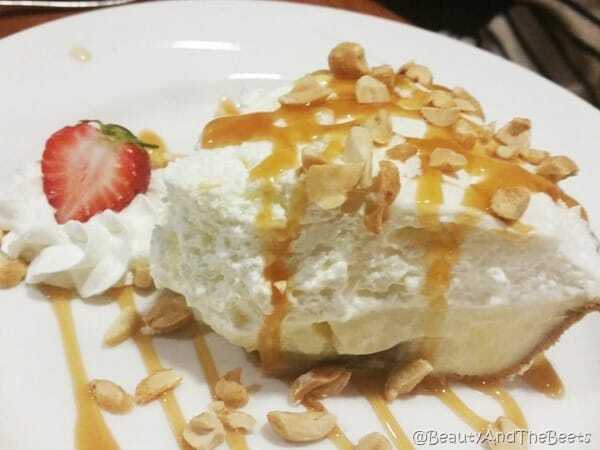 We also tried the Peanut Butter Pie which was pretty amazing. And huge. The dining room is rustic, complete with student entertainment on designated nights of the week. 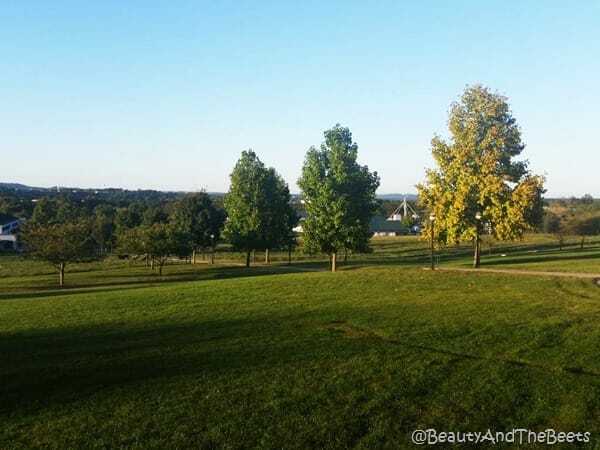 We also spent some time after dinner to take a peak at the farm out back, try more ice cream at the College Creamery and swoon at the desserts in the bakery (both in the lobby) I was tempted to sneak up the stairs and find an empty guest room. All in all, the students do a fantastic job at running this fine dining spot. 4 1/2 out of 5 sprouts. Beautiful place. That could be Mr. Beet playing the piano 🙂 The food looks amazing!!!!!!!!! !